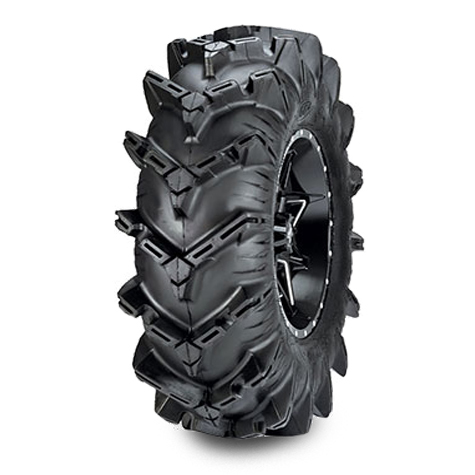 The Cryptid is the newest tire from ITP. It features a proven "chevron" style tread pattern, designed to deliver unparalleled forward traction. The Cryptid's lug height is a graduated 1.5" at the center and 2" at the shoulder. The paddle-like shoulder provides the maximum side bite for climbing in and out of mud without compromising ride comfort on trails or hard pack. Available in the largest sizes! 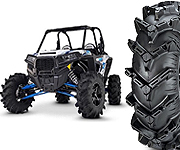 Self cleaning, mud shedding tread design.